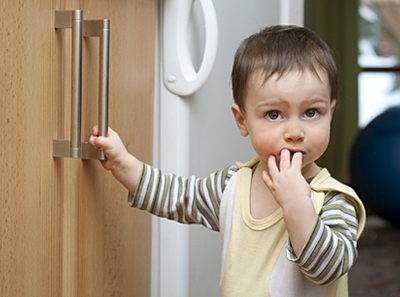 Toddlers are constantly moving and exploring their surroundings, and it takes no time at all for a toddler to get into harm’s way. There’s no hotter priority for parents than finding ways to prevent the unthinkable before it happens. But the relationship between parent and child doesn’t have to be a constant struggle. As parents, we do our best to keep a close watch on our children. However, it is impossible to monitor a toddler’s every move, especially when that toddler is constantly on the move. Moments later, Finley heard her daughter scream as she jumped in the water to save her brother. Finley administered CPR, and Evan responded before the paramedics arrived. It was estimated that he had been in the water for approximately three minutes. Even though the Finleys had a lock on the pool ladder, their curious and energetic 3-year-old found his way into the pool. Since the incident, Evan has recovered fully and the Finleys have installed a pool alarm that alerts both exterior and interior receivers. “If anything hits the water that weighs more than 15 pounds, the alarm goes off,” Finley said.